The Energy Conservation & Utility Management Department exists to facilitate increased awareness and efficient use of energy and other natural resources. The main mission of the Energy Conservation & Utility Management Department is to enhance environmental stewardship, contribute to the District's efforts to reduce inefficiencies in the use of energy resources such as electricity and natural gas. In addition, it is our mission to further reduce water consumption and the production of solid waste, while increasing the comfort level of classrooms and schools. If your Request is for After Hours Air Conditioning and it is received after the 1:00 pm deadline, we will be unable to process the request. If your Request is for a Roll Off Dumpster or a Pull & Return of your Roll Off Dumpster, the request will be processed within 36 hours. If the Request is for Fuel pertaining to Emergency Generators and the level is lower then 50% your request will be processed within 24 hours. If the level is greater than 50% the request will be processed on the next scheduled delivery day for your area. More internal resources and forms can be found on our Energy Conservation Utility Management Sharepoint Site. You can now see how your school is doing in regards to its energy conservation efforts. Below you will see the most recent electrical consumption data in Kilowatt hours, and you can compare that to the same month from last year. We have also made the previous years' data available for you to review. Just click on the links below to download the PDF files. A total of 11 Photovoltaic (PV) Systems donated by FPL and coordinated by the Environmental Conservation/Utility Management Department, have been installed throughout the District. The selection was based on the schools that were awarded the school year Energy Tools for Schools shared savings incentive award, enhanced/complemented their science curriculum needs, and to ensure at least one school in all seven SBBC Districts will now have a Solar Array installed, in addition to also ensure that the arrays will be equally distributed throughout the District. FPL will maintain the PV systems and provide warranty for a period of five years from the in-service date and will transfer ownership to SBBC at the end of the five year period. Conducting irrigation system efficiency evaluations and indoor water audits within the schools to identify improvements that can be made to conserve water. NatureScape is about creating Florida-friendly landscapes that conserve water, protect water quality, and create wildlife habitat. As such, a major goal of NatureScape Broward is to increase the amount of native landscaping throughout the County and minimize the number of herbicides, pesticides, and supplemental irrigation required to maintain a healthy landscape. One of the main ways the District is achieving reductions in utility usage is by a program called Performance Contracting”. In 1998, the School Board of Broward County, Florida (SBBC), issued “RFP 98-379V, Energy Management Performance Contracting Services.” The purpose of the RFP was to identify and select the most qualified energy services contractors to perform retrofits to our schools, which would reduce the District’s utility usage. An SBBC Evaluation Committee selected four successful contractors to initiate the first phase of Performance Contracting. Initially, a total of 30 schools were divided among the four contractors. A Technical Energy Audit Agreement was approved by the Board and issued to the contractors. 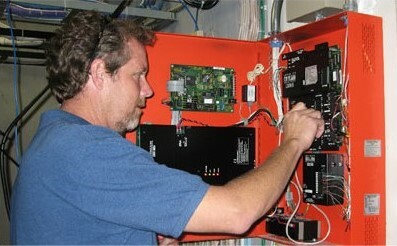 Each contractor then surveyed their assigned schools and performed Technical Energy Audits. When submitted to the District, these audits are reviewed by in-house staff, that have qualified background and expertise regarding energy performance contracting. Once staff approves the proposed energy conservation measures and associated savings, an Energy Services Agreement is submitted to the Board for approval. In phases 1, 2 & 3 (phases indicate a group of schools contracted to start the program) of Performance Contracting, members of the Executive Leadership Team (previously referred to as Senior Management) and the Board, have approved the agreement before work commences. Once work is completed, the savings measurement and verification begin. The Energy Services Contractors’ staff, which include State licensed engineers, prepare monthly measurement and verification reports. 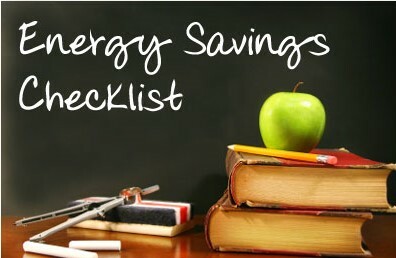 These are reviewed by District staff that is trained on the utility bill comparison software, mechanical/electrical engineering calculations, and other manual savings calculations. If the measured savings do not meet or exceed the savings guaranteed by the contractor, then the contractor must write a check to the District to cover any shortfalls. Based on the success of Phase 1, the District expanded the project through Phases 2 and 3. To date, 111 schools have been retrofitted, and $16 million dollars have been avoided in utility and operational costs. Phase Four of Performance Contracting is now underway. At a December Board retreat, a presentation was given regarding Performance Contracting, Background on the project including the total utility savings to date along with the cost of the improvements was discussed. Following up this meeting was a Board Agenda item which approved the start of five additional schools for one of the four vendors. Board approval to grant authorization to have the other three vendors perform Energy Audits and the associated work to install the proposed Energy Conservation Measures will be scheduled for upcoming Board meetings to complete Phase 4. It was the Board's opinion that after Phase 4 is complete, the District should issue a new RFP for subsequent phases. This will ensure that the District evaluates and selects the best vendors currently available in the marketplace to perform our energy conservation measures." *Update on September 30, 2010 — Unfortunately, due to budget constraints, this program will be put on hold until funding becomes available. The Energy Conservation/Utility Management department is responsible for controlling, monitoring, and maintaining all EMS systems throughout the District. In the District's efforts to conserve our valuable natural resources and minimize utility expenses, we have provided helpful suggestions to help each school reduce consumption.